Owners Kolomoyskyy and Boholyubov may look at five years in prison. The Prosecutor-General's Office opened a criminal investigation into the bringing Privatbank to insolvency, the bank's CEO Oleksandr Shlapak told a press conference on Tuesday. The relevant Article 218-1 of the Criminal Code of Ukraine envisages an imprisonment for up to 5 years, he reminded. 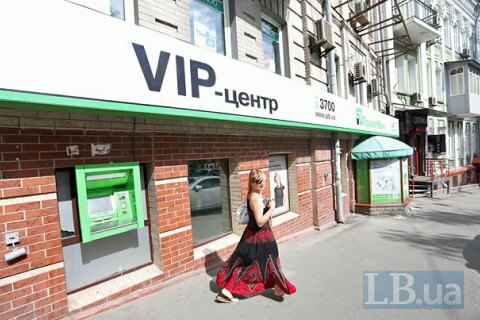 Currently, nine Privatbank-related criminal cases are underway. Finance Minister Oleksandr Danilyuk said last December that if the former owners of Privatbank Ihor Kolomoysky and Henadiy Bogolyubov fail to fulfill their obligations to restructure insider loans, they would be held accountable for bringing the bank to insolvency. The Ministry of Finance has already pumped 116.8 bn hryvnia into Privatbank since its nationalization, including 9.8 bn hryvnia this year. Last week, the government decided to add another 38.5 bn hryvnia to Privatbank's capital.